The Farm was created after Rothley's Enclosure Act of 1782, the land being awarded to Thomas Babington, Lord of the Manor. Ownership remained with the Manor which passed down into Merttens' Company, Rothley Temple Estates Ltd. In 1954 Jack Wright took on the tenancy, it passing to his son William (Bill) Wright after his death in 2001. 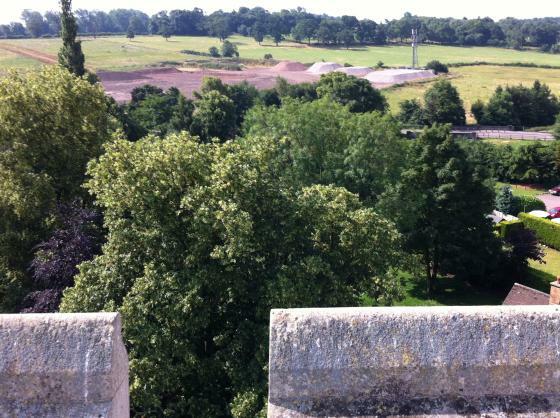 The Wrights worked up a very large dairy herd, putting up the many buildings showing in the top picture taken from the Church Tower in 2009. 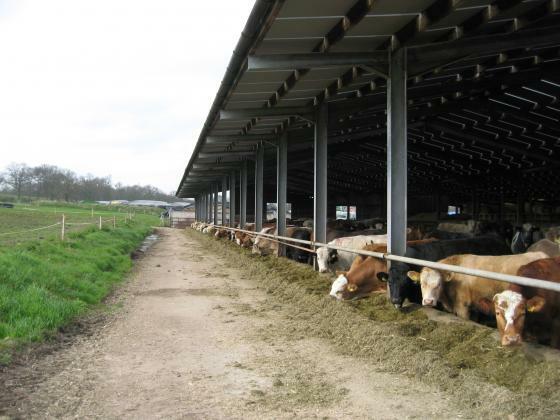 They developed a very nutritious feed regime from their widespread arable cropping, using the buildings as in the next picture. 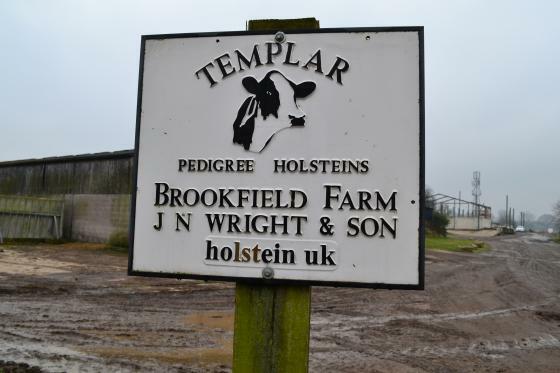 But the Wrights were only ever allowed to be tenants, and by 2013 the development plans by Rothley Templar Estates Ltd reached the starting blocks. Bill & Sarah Wright had to quit Brookfield by a month after Lady Day, in April 2013. 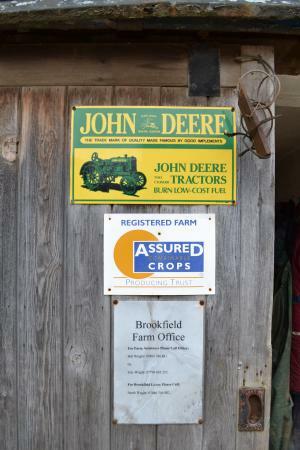 Bill Wight was by now farming very large numbers of arable acres over a wide area, both in his own right and as a contractor. The Wrights purchased Glebe farm Saxilby, and set about transferring much of the buildings from Rothley to the new site. 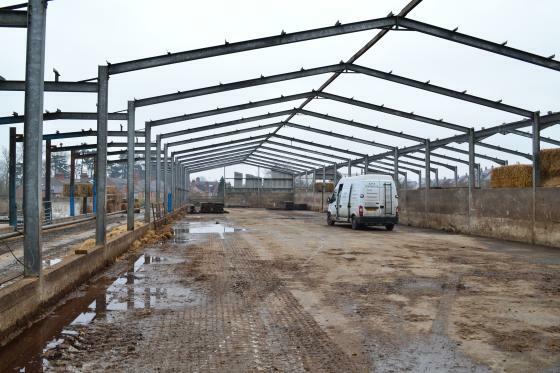 The structural steelwork was carefully dismantled and much of it re-used at Saxilby. 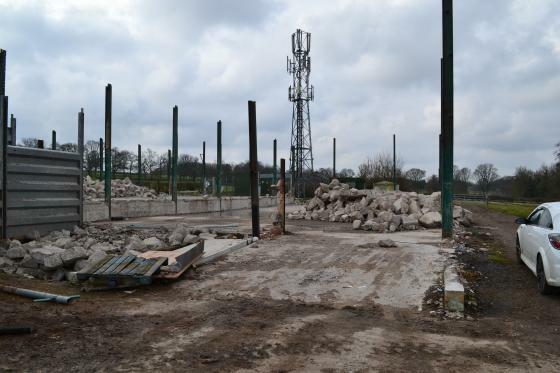 The concrete wall bases had to be broken up by jack-hammer-wielding JCB machines, and trucked away in lorries. 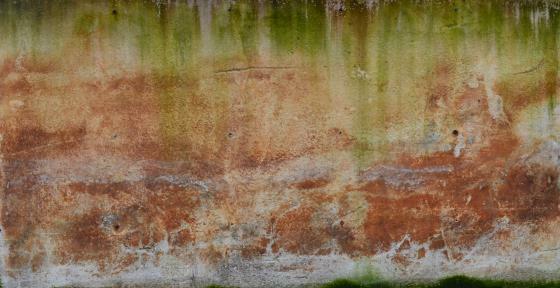 Some of the wall bases carried the markings made by the animals and stored materials, making interesting images before being smashed up. 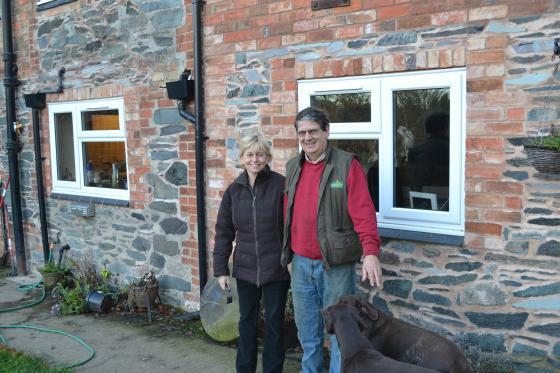 Bill & Sarah Wright came back to live at Brookfield after building a very sympathetic extension to the old farm cottage. But that too had to go, floor by floor. The beautiful oak fireplace lintel was lovingly removed and taken to Saxilby. 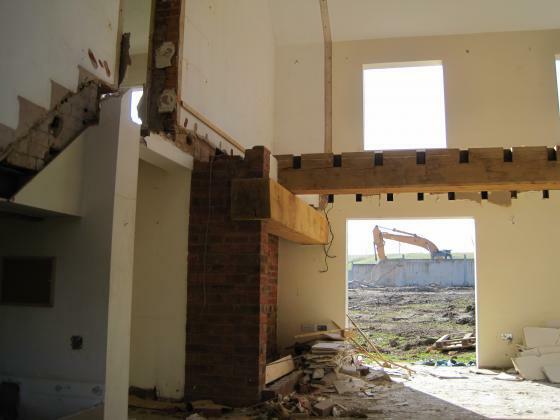 It was possible to catch Bill & Sarah in 2012 before the major demolition began, outside the Farmhouse they had extended. All is now immensely well-organised at their new Saxelby enterprise as shown below. 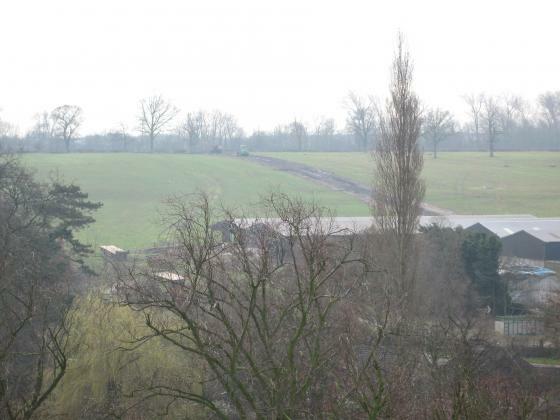 But back at Brookfield in July 2013, the site is being prepared by the developers Charles Church for the new school and housing that will become a new suburb of Rothley. XHTML 1.0 validated. WCAG compliant. Page generated in 0.1108 seconds.